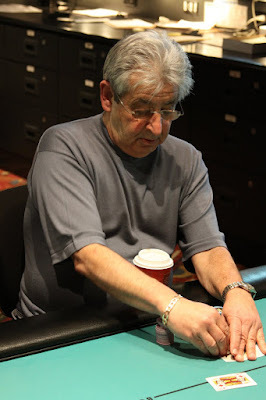 Five players remain in the PLO event in the main poker room. 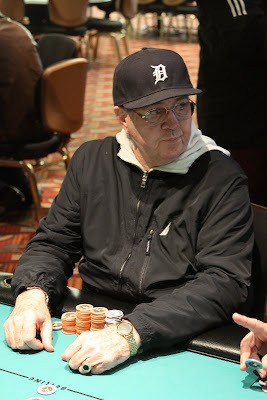 They are now down to the final table of ten in the $400 Pot Limit Omaha event. Top five finish in the money. They are currently on dinner break. We had 44 total entrants for today's $400 Pot Limit Omaha Event and there are now 33 players remaining. The $400 Pot Limit Omaha event is now underway in the main poker room. We are now down to the final 11 players. Play will conclude with the elimination of one more player. There are now 12 players remaining. Play will continue until we reach the final table of ten or 2am, whichever comes first. The bubble has burst and all 30 remaining players are now in the money. There are now 31 players remaining and we are officially on the money bubble. The remaining 37 players are now on a break. When they return, the blinds will be 1,200-2,400 with a 300 ante. The players in the $500 NLHE event are now on dinner break. There are 57 players remaining with top 30 spots finishing in the money. The blinds are about to be increased to 300-600 with a 75 ante. There are approximately 147 players remaining. 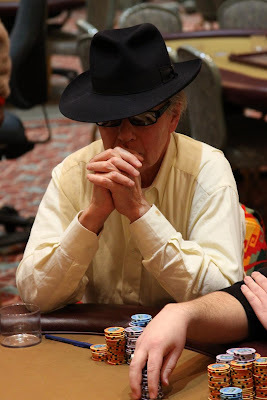 When the 178 remaining players return, the blinds will be increased to 200-400 with a 50 ante. WSOP bracelet winner Vanessa Selbst has taken her seat in today's $500 NLHE event at the Foxwoods Poker Classic. The $500 NLHE event kicked off today at 11am. 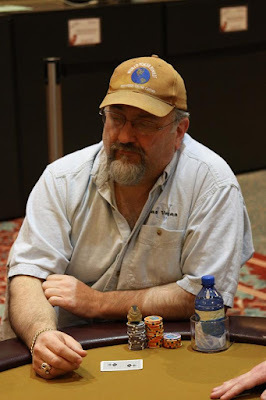 A total of 295 players entered today's event at the Foxwoods Poker Classic. 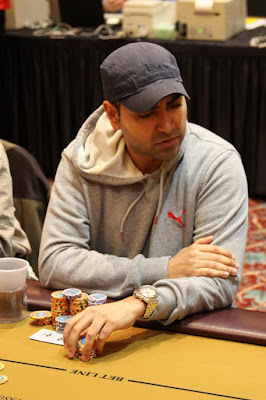 Players started with 7,500 in chip with 50 minute levels. The blinds are currently 100-200. 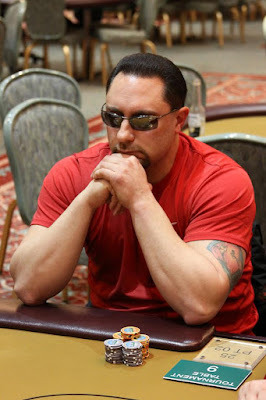 Despite just busting out of the $500 NLHE event, newly appointed official spokesperson of the Foxwoods Poker Room, Bernard Lee, talks to tournament reporter Jay "WhoJedi" Newnum at the Foxwoods Poker Classic. 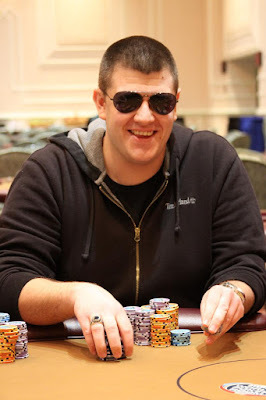 William Ray has won the $400 7-Card Stud Event at the Foxwoods Poker Classic. Ray takes home the cash, trophy and leather jacket! We are now down to the final five players in the $400 7-Card Stud event. 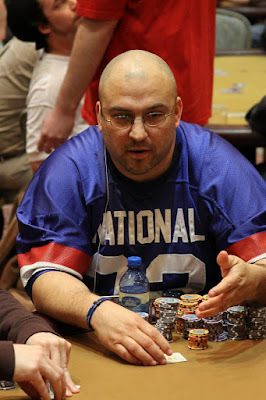 A total of 295 players entered the $500 NLHE event. There are 176 players remaining and the final 30 players will finish in the money. The Foxwoods Poker Room Official Spokesperson, Bernard Lee, has just arrived and taken his seat in today's $500 NLHE event. He was taping an episode of ESPN's Inside Deal and arrived just under two hours after the official start. 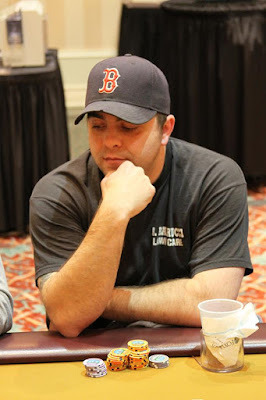 Today at the Foxwoods Poker Classic features the $500 NLHE Event that kicked off at 11am. Also, day two of the $400 7-Card Stud resumes at noon. Finally, the $400 Pot Limit Omaha event starts at 1pm in the main poker room. Here are the end of day one chip counts by seating assignment for the final nine players. Play is scheduled to resume at noon. 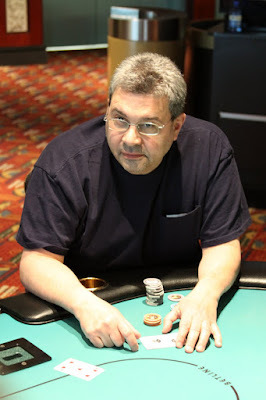 David Lastra has won the Foxwoods Poker Classic $200 NLHE Shootout event. 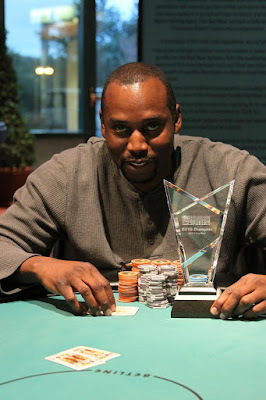 He beat out a field of 895 players to take down the title and the trophy. 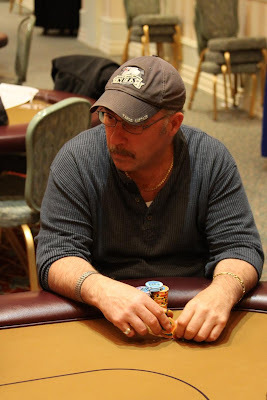 Michael Capodicci has been eliminated by David Lastra in second place and takes home $13,745. 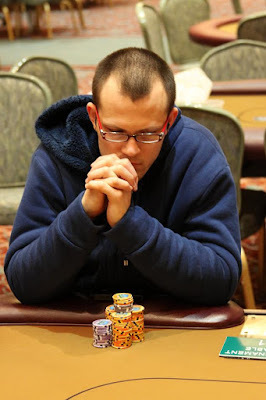 The board ran out [Ac][7s][2d][Jc][Jd] and Capodicci paired his ace to win the pot and eliminate Carmody in 3rd place. The board came [Qc][Js][2h][4d][Jd] and Lastra paired his queen to win the pot and eliminate Pabon in 4th place. There are now 11 players left in the 7-Card Stud tournament. We are down to the final 19 players with top 15 spots paying. We are now down to 44 players in the $400 7-Card Stud Event. We had a total 108 players in today's event and it looks as if we have only lost one player so far. With registration still open, there are already over 90 players in today's field. The $400 7-Card Stud Event at the Foxwoods Poker Classic is about to kick off in the poker room. The board came [9c][7c][5h][6c][5s] and Lastra made a straight to win the main pot and triple up. 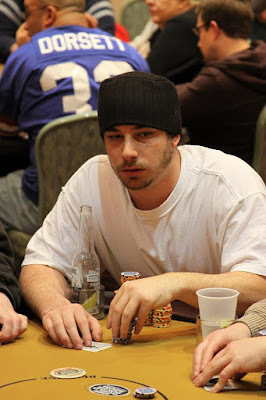 Capodicci won the side pot and eliminated Welsh in 5th place. 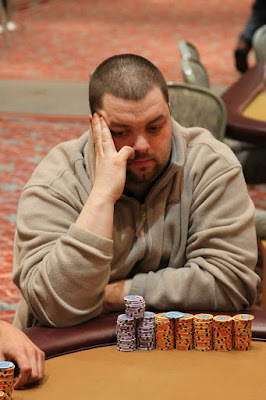 Welsh officially takes home the most money after the chop with his $23,202. The final six players have agreed to an equity chop by chip count. 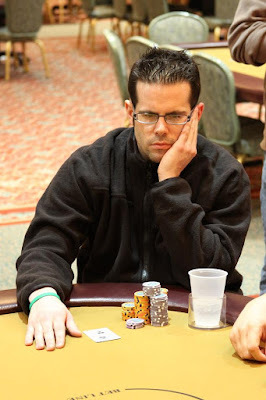 Bill Cunningham is now out of the tournament after the chop. 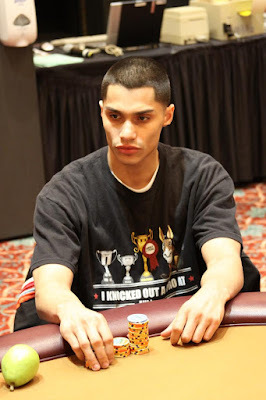 The remaining five players have put up enough out of their chop to play for a Foxwoods Poker Classic Main Event seat.